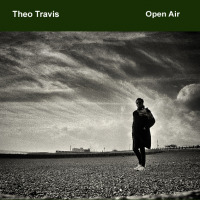 The London-based saxophonist and composer Theo Travis has made a name for himself on the British jazz scene for his virtuosity and soulful style as well as his fine compositions. Born in Birmingham, Theo studied classical music at the University of Manchester whilst playing in various jazz and rock bands. He signed to 33 Records in 1993, has released 3 solo albums on the label to date and has just finished the improvised album Bodywork with drummer John Marshall and guitarist Mark Wood. In Oct 1996 Travis released Secret Island, his third CD on 33 Records which also features guitarist John Etheridge. The album has several blues-oriented tracks and a tune inspired by the Iain Banks novel The Crow Road. Following the release of Secret Island, Travis and his band undertook a 27-date UK tour. His performance at the 1996 Glasgow International Jazz Festival was voted Outstanding Concert as Voted by the Audience for which he won the prestigious Scotrail Jazz Award. 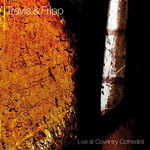 Travis' second CD on 33 Records, View from the Edge, was voted Best British Jazz CD of 1994 by the Jazz on CD Readers/Critics poll. He was also nominated as Rising Star in the 1996 and 1998 British Jazz Awards and was named Best Newcomer of 1993 by the Financial Times. 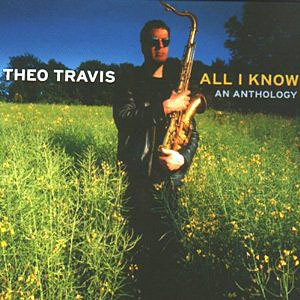 Travis was featured in a session for Jazz Parade on BBC Radio 2, and was praised as one of the very best young tenor players of this or any jazz generation in Britain by presenter Digby Fairweather. In July 1994, he appeared on a one-hour interview on New York radio station WKCR-FM. He was also commissioned to write new music for the 1926 Hitchcock silent film The Lodger which was performed live in September 1996 as part of the Derby Metro's 100 Years of Cinema Festival. Travis was acknowledged by Penguin author Nicholas Royle as one of the inspirations behind his novel Saxophone Dreams. Theo Travis was awarded a music degree (with honours) from Manchester University. He played in NYJO, with whom he toured Spain. He performed at New York's legendary Blue Note club in 1987. All About Jazz musician pages are maintained by musicians, publicists and trusted members like you. Interested? Tell us why you would like to improve the Theo Travis musician page.